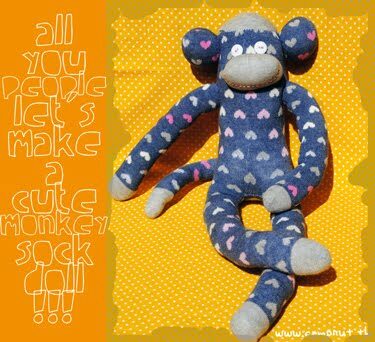 c e m p r u t: tuto on friday: the monkey sock doll...!!! 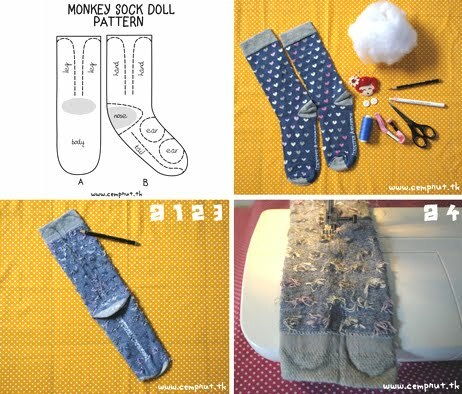 okay now, i'll share you my first TUTO ON FRIDAY, since a lot of you really like this cute sock monkey, so i make MY OWN PATTERN of this sock monkey. so grab your craft tools and let's get rock on !!! 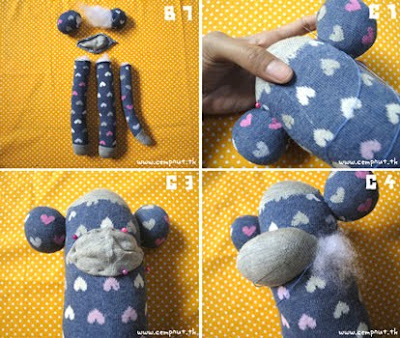 1. turn the sock inside out. 2. make sure that the heel is facing toward to you like in a pic A. 3. draw a line with a pencil like the pattern A. 4. sew the pattern line for the leg part. 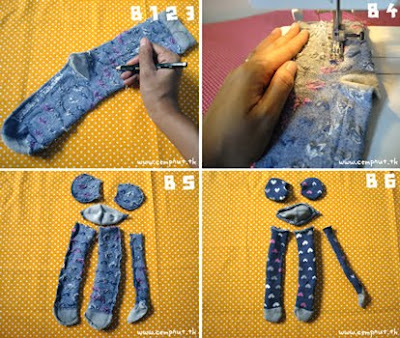 5. cut the sock between the leg. 6. turn sock right side out from the hole. 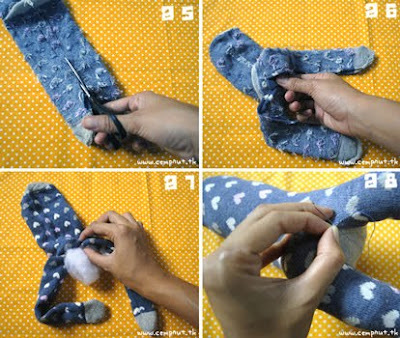 7. fill the sock with a soft dacron from the hole. 8. sticht the hole with a thread. 2. make sure the sock position is like the pic B. 3. draw a line with a pencil like the pattern B. 4. sew all the pattern line. 5. cut every part of the body inside out the sewing path. 6. turn all part of body right side out. 7. fill in with the soft dacron every single part of the body. and then sitcht it with the part of another body from the sock. 3. take the nose part, put it in yhe middle of the face part like in the pic and then sticht it. 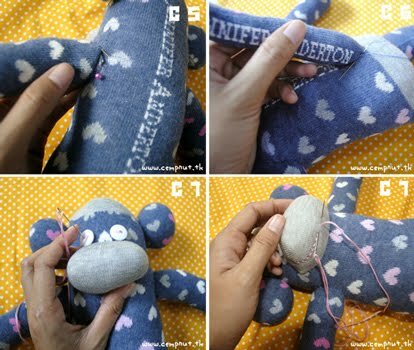 4. before the end of the stitch, fill the soft dacron in to the nose and then sticth it again. 5. take the hand part, put it in the left and the right of the middle body, andthen sticht it. 6. take the tail part, put it in the middle of the buttom and then stich it. 7. sticht the buttons on and then embroidered the smiley mouth in the nose part.